I'm Colin Boynton and I’m a Senior Estate Surveyor with the Defence Infrastructure Organisation's Land Management Services based at Catterick. As you probably know, Catterick Garrison is a major British Army hub in Yorkshire. It is home to thousands of soldiers and their families, some temporarily – it’s the location of the Infantry Training Centre, where all infantry soldiers receive their Phase One and Two infantry training – and some permanently as the base of 4 Mechanised Brigade, part of 3 (UK) Division. There’s also a sizeable training area of 20,000 acres so there’s also a regular movement of units coming here to train. While the garrison, its various barracks and the surrounding area have many facilities, such as a leisure centre, a couple of supermarkets and some small shops, it has lacked some of the amenities you see in towns and cities, such as shopping centres and a cinema. Until now, that is. For most of us, availability of these sort of amenities is a big part of quality of life. However, it’s not unusual for military personnel to be based away from towns and cities where high-street shops and leisure facilities like cinemas, are generally found. Providing these facilities where they don’t already exist in the local area, therefore, is one way to support military personnel. With that in mind, the Defence Infrastructure Organisation has just finished a £25 million project to construct a retail and leisure facility which is a new town centre for Catterick called Princes’ Gate. DIO's role on this project has been to liaise with key stakeholders such Richmondshire District Council, progress the sale of the site and work with the developers, Lingfield and Kier, to see the scheme delivered. Of course, the site is not just restricted to soldiers and their families but is open to the public as well and is sure to be just as popular with them. A seven-screen cinema was recently completed and is currently being fitted out internally by Empire Cinemas. The rest of the complex features shops such as Next and Boots and cafes, pubs and restaurants including a KFC, a Costa Coffee and both a Greene King pub and a Brewers Fayre. There is also a 60-bed Travelodge. It’s been popular with retailers and only a few units remain to be occupied. Most of them are now open and being enjoyed! It’s also created hundreds of jobs for local people and I’m sure many of those jobs will have gone to Army spouses, which is great news all round. The complex has been built on a former sports ground and covers around 150,000 sq ft. The construction by Kier has taken about 16 months, which is impressive for a project of this scale. 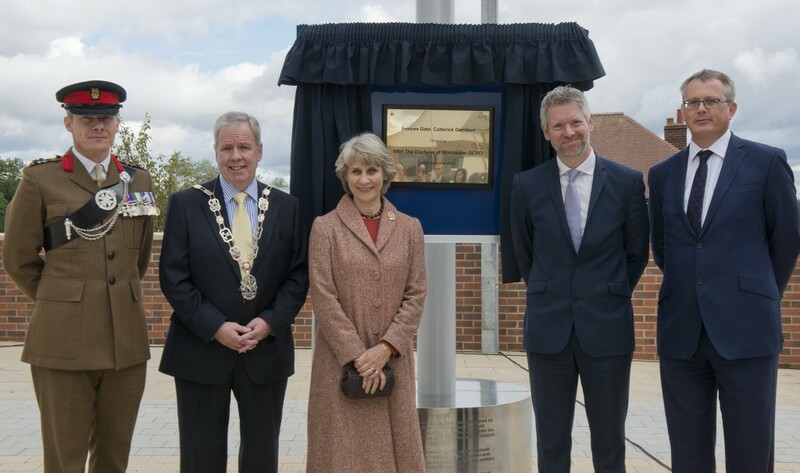 To celebrate, this week we held an event in which HRH the Duchess of Gloucester officially opened the complex during her visit to Catterick Garrison. The event was also attended by the Commander 4 Infantry Brigade and the Managing Director of Kier Property. 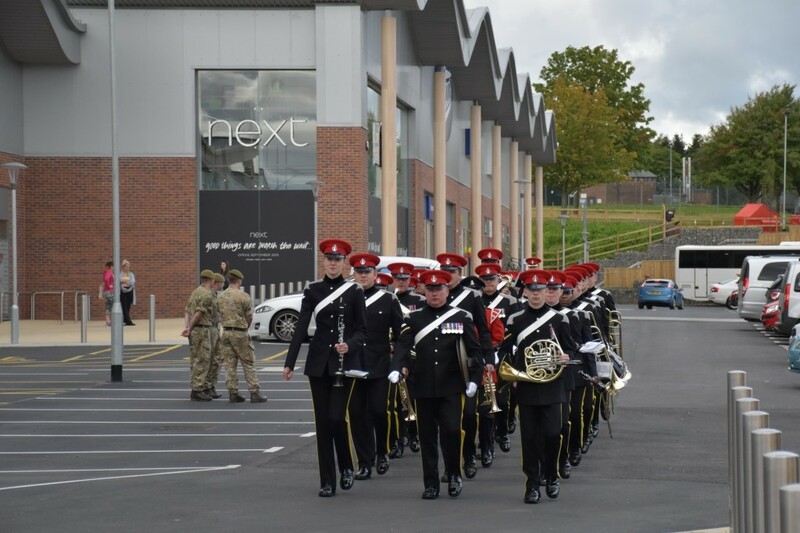 I know the soldiers and their families here in Catterick as well as the wider local community will really appreciate the additional leisure and retail options this development gives them.